There is no denying the fact that a pet does bring out feelings of joy in most of us. While some people prefer to keep dogs as pets, others may swing more towards cats and still others would prefer birds. Right from fish to turtles to even snakes, people have been known to keep them all as pets. Pets do make us feel good and this is also the reason why pets are recommended to by doctors for those who suffer from depression and loneliness. Joy – Pets bring a lot of joy into the family. Having a pet means a lot of love is exchanged between the owner and the pet. These animals also help keep loneliness at bay. 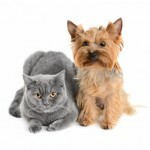 Safety – There are certain pets like dogs that bring in an element of safety for their owners. Animals have an instinct that warns them of danger, and many a times pets have been able to save their owners from disasters. Lessons – Pets also helps us to learn compassion and responsibility. Learning to care for your pet, grooming it and feeding it helps us all develop more humane characteristics. Responsibility – Owning a pet is a great responsibility. You cannot leave a pet alone for long hours. Then you have to groom the pet, feed it on time and also take it to the vet when need be. This is a task of great responsibility and it can hinder your professional and personal life too. Allergies – Right from dogs to birds to even rabbits, almost all animals have a tendency to cause allergies. A major problem with keeping pets is that you may be allergic to the pet and this could lead to you falling sick and you may have to give up the pet all together. Dangers – Pets are animals at the end of the day and while they are domesticated to a large extent, their animal instincts still remain. There have been times when the pets have turned on their masters or attacked visitors in the house hurting them. This is a huge problem with keeping a pet and one that we must keep in mind when deciding if, and what kind of pet to get home. Keeping a pet should not be treated as a light matter. You must carefully consider your own living situation and then decide which type of pet will suit your needs. Do not rush into this decision since you could come to regret it later and then instead of giving you joy, the pet could become a source of trouble or sorrow.